If you need the perfect hang tag to emphasize premium products and boutique items, silk hang tag printing should be your first priority. Silk hang tags are made by laminating a thick 16 pt. cardstock with a thin layer off textured plastic.This layer gives the tags superior durability and water resistance while mimicking the elegant look and feel of silk. 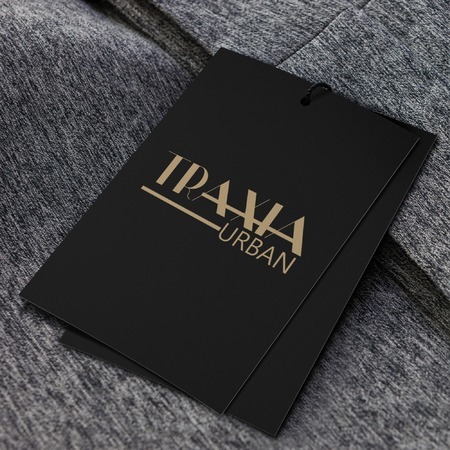 These luxury tags can further reinforce the value of your items, making them a good investment for your packaging. Silk hang tags come pre-drilled in a range of sizes from 1.5" x 3.5" to 3.5" x 4". This lets you create slim, square, and extra-large custom hang tags as well as popular rectangular tags. We also offer a spot UV option that adds extra vibrance to your tags, which is good for highlighting brands and logos. Silk laminated hang tags are perfect for custom clothing tags, and specialty accessories. Custom silk gift tags are another popular application for this product. You can also use silk hang tag printing for any application where premium hang tags are needed. Print silk hang tags today.